UKMO North Atlantic and Tropical Storm forecast , 1 June 2017, predicts slightly enhanced activity when compared to long term averages. The first storm of the year, Arlene, happened in April. The Accumulated Cyclone Energy (ACE) index. 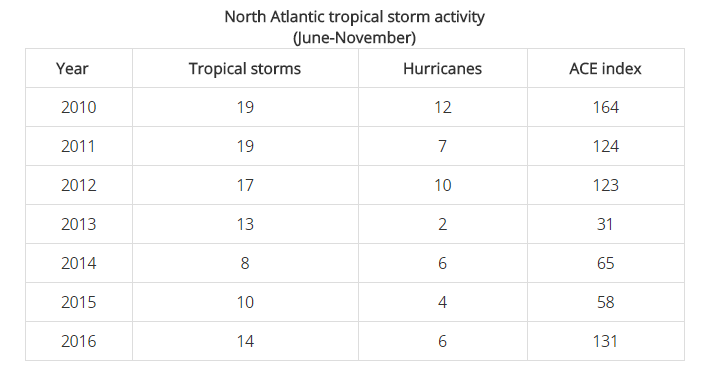 A measure of the collective intensity and duration of all named tropical storms and hurricanes during the season. The first storm of the year, Arlene, happened in April.